“’70s chic. It’s a thing.” I’m sure you’ve noticed, vintage styles have come back with a bang over the last few years. It seems the explosion of the popularity of music festivals and “boho style” certainly helped, but I prefer to stick with the idea that these classic styles simply re-emerged due to their versatility and timeless grace. Simplicity is often key in fashion, and less is almost always more. Maybe it’s the yearning for the golden days of yesteryear as we dive into more complex times, or just the realization that many of the fashions back then were definitely worth bringing back. Not only were they rooted in the notion of a free spirit, but they also captured femininity and playfulness. I personally love them, and they feel strangely nostalgic to me even though I wasn’t even around yet. Either way, I absolutely love ’70s style, whether we’re talking fashion or even home decor and architecture. When the weather warms up and the wine starts flowing, I love my maxi dresses. There’s something about that lightweight, breezy, flowy feel against your legs as the sun bears down on your shoulders that gets me dreaming of summer all year long. 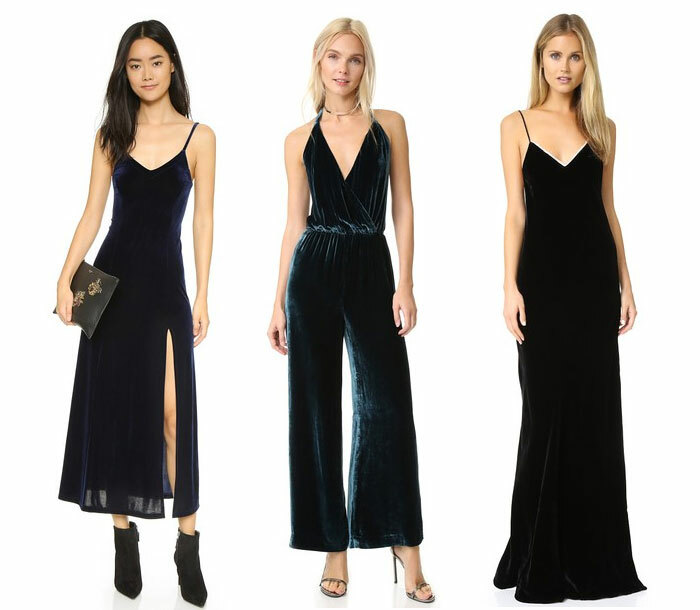 As someone who usually prefers wearing pants over skirts (because without a thigh gap, there’s always going to be some sort of chafing going on by the end of the day which is exacerbated by the stickiness of sweat), I’m surprised I never really considered the maxi dress alternative: the jumpsuit. Rompers, its shorter-leg cousins, are usually pretty prevalent in the California town where I live, which makes sense because we’re pretty warm thoughout most of the year, but I never could see myself in one. It’s not like I don’t wear shorty shorts or mini skirts when it’s hot enough either…I think it has to something with the fact that I have a fairly short torso as it is, and I fear rompers will only make me feel or look blocky. Jumpsuits, on the other hand, keep that elongated, svelte look (as long as the fit is right), and seem like something I would have work at some point by now. I guess I just hadn’t seen one I liked. I know, I was just as surprised as you are, I guess. Usually Fall is the time for earthy, neutral colors such as browns, burgundies, and olive greens…but I’ve seen more than one retailer pushing the latter as a new Spring color. I’m fine with it, as I’m not much of a bright pastelley color person at all, and olive happens to be one of my favorite colors. It’s nice to find more toned down alternatives! Most people probably associate olive green as a military shade, and military pieces are indeed included in these new Spring marketing campaigns. 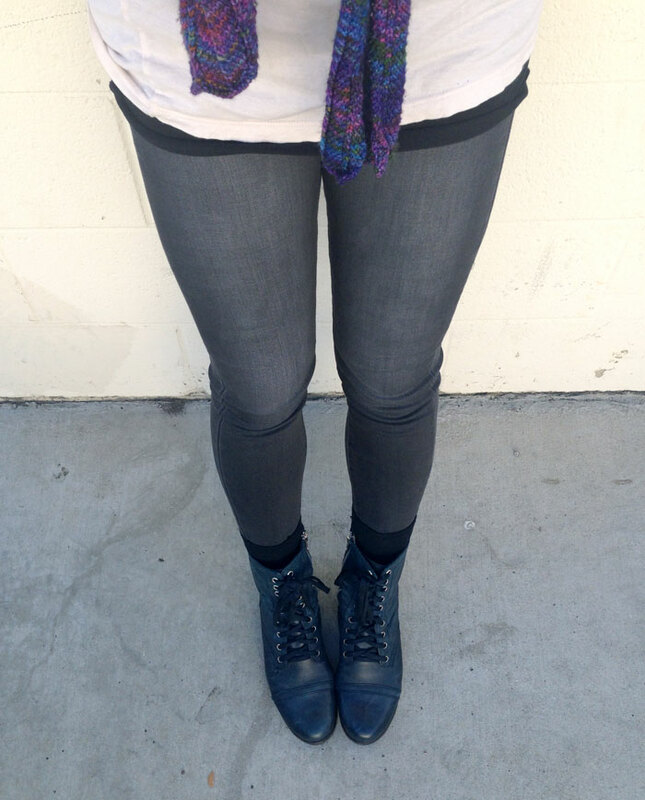 They are also usually more lightweight which offers more breezy options for the warmer weather! When shopping for black jeans in the past, I was always looking for the most jet black, dark and saturated (wash wise) pair I could find. I mean, it’s fair to say that’s a fundamental piece for anyone’s closet, and I do own a pair or two of those. However, I always end up saving those only for special occasions for fear of washing them and having them fade. Now, I know I have posted in the past about some pretty awesome fadeless black jeans from brands such as Level 99 and DSTLD in the past, but I haven’t owned any of those yet and still was afraid to wash the nice black pairs I have and love. It happens every year…and somehow I still don’t own one velvet piece! 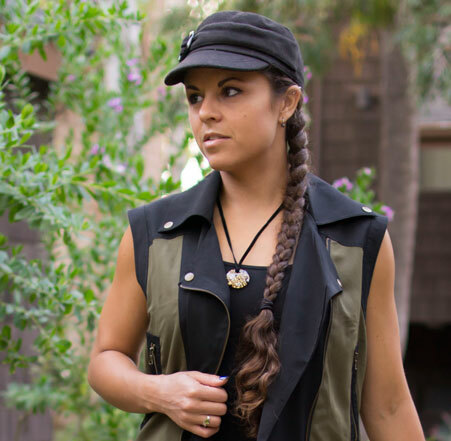 I know many people might see it hard to pull off as a grown-up, like overalls, corduroy or culottes. However, there’s no mistaking that it’s an ultra luxe, beautiful, and soft fabric that emerges every year as temperatures drop. 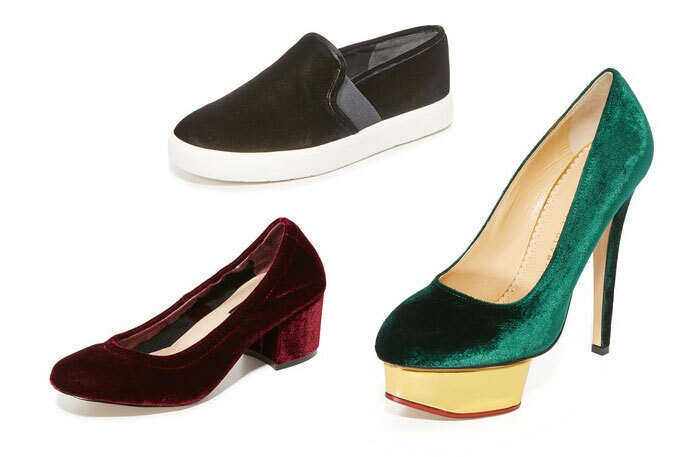 It also helps that it also always comes in several of the best jewel tones for fall! I absolutely love these colors, especially the dark blues and burgundys. Oh, and black never hurts either. 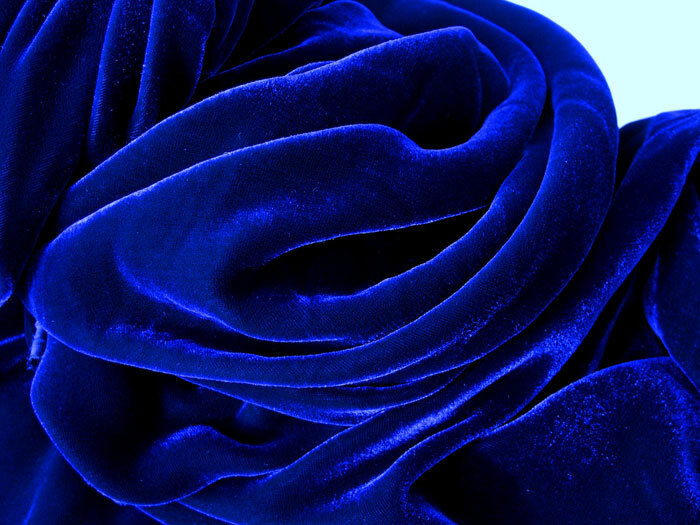 It’s easy to rock a velvet blazer, but there are so many other great items made from this popular, timeless fabric! 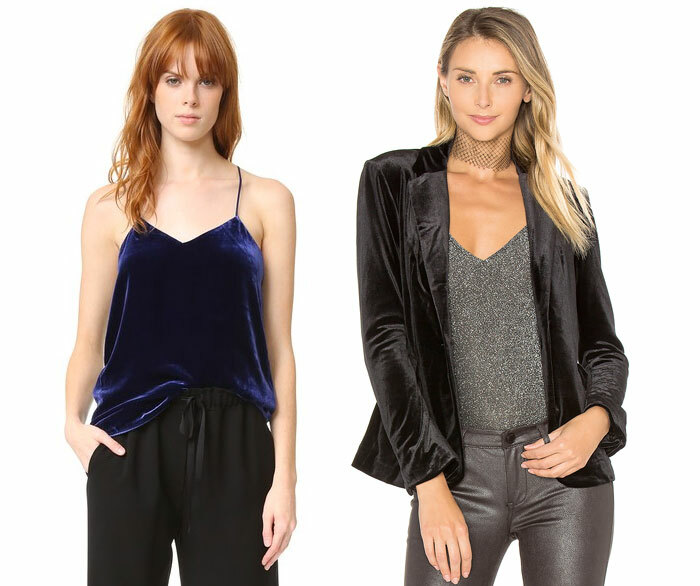 I decided to go on a hunt for some of the most gorgeous velvet pieces I could find, after my interest was sparked by a newsletter from J Brand’s latest releases! I was not disappointed. 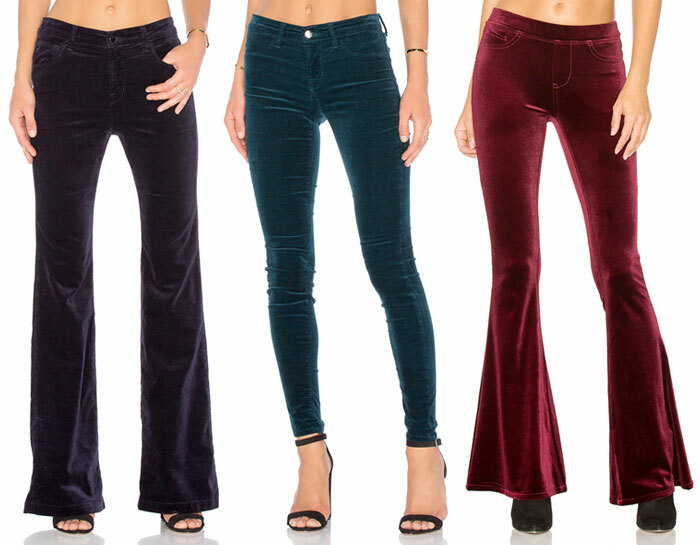 No longer is a velvet pant just a velvet pant anymore—check out that amazing disco-ready BLANKNYC Flare in Burgundy Lush and the Rag & Bone/JEAN RBW23 Velvet Skinny Pants in Navy which features zipper details! 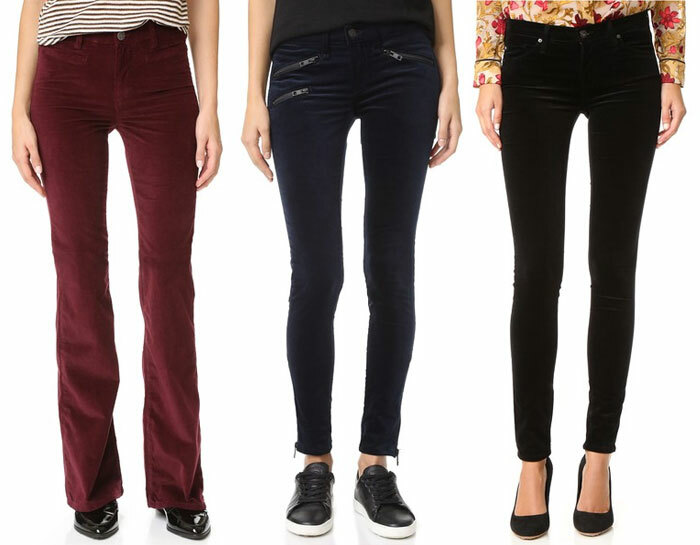 I’m also crushing on the AG The Super Skinny Velvet Pants in Super Black and J Brand Mid Rise Super Skinny in Emerald. I was initially going to stick with jeans and bottoms but there were so many totally cute tops and shoes, and these DRESSES. Before I drool on myself (again), I’ll stop here and let the photos below do the talking. What do you think of this popular Fall fabric? 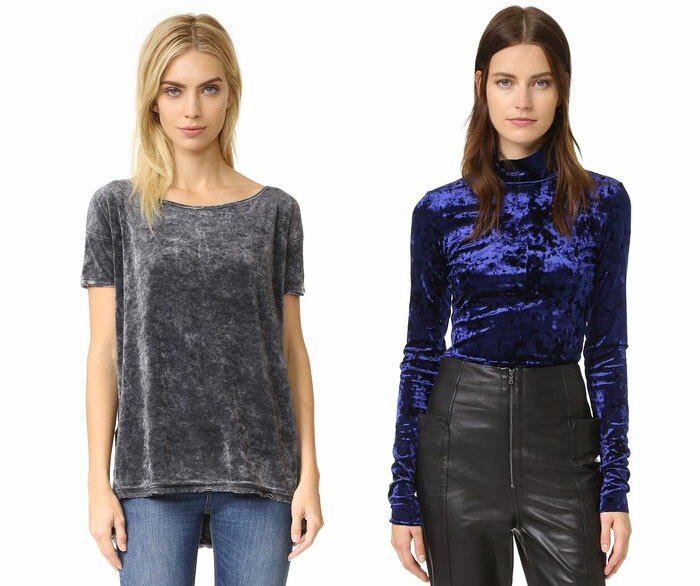 Shop more pretty velvetey things below! 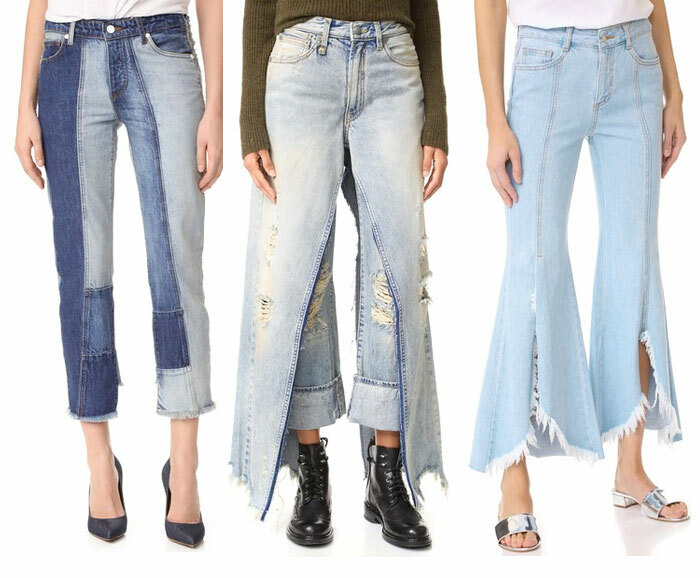 It would be silly to assume that amongst the hundred or so (or more) jeans I currently own in my ridiculous collection, there wouldn’t be a flare style or two. 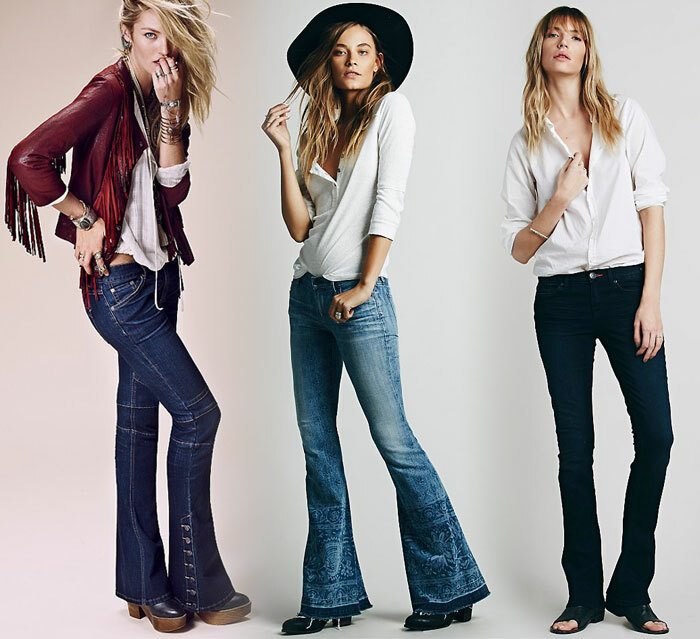 Flares are tough, I think…and to me, always look best on the tall, svelte model type. However, they also do well at accentuating one’s curves. But it’s always annoying, at least to me, to get the length right. I always stick with skinnies for the most part, because the same pairs can be worn with flip flops, boots, sky high heels, you name it, without looking odd. I don’t wear or own a ton of bootcuts, flares, or wide legs because each pair has to be cut for a specific shoe or shoe height, so they don’t always have the right flexibility for what I feel like wearing on any particular morning. But man, I do love vintage style, and bohemian, and the flare, when done right, can look amazing! Free People is one of those stores I rarely visit, because…well, I always want to buy the whole store! 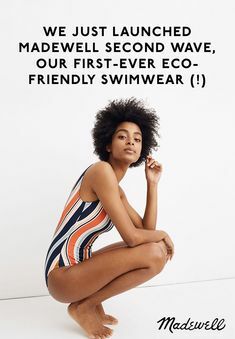 They also have a sweet partnership with Citizens of Humanity, in their denim department of course. Speaking of Citizens, the one flare review I did for Denimology was the Citizens of Humanity Hutton in Palais Royal! While it is a wide leg, I felt it was a whole lot more like a flare, and I felt pretty awesome rocking them. 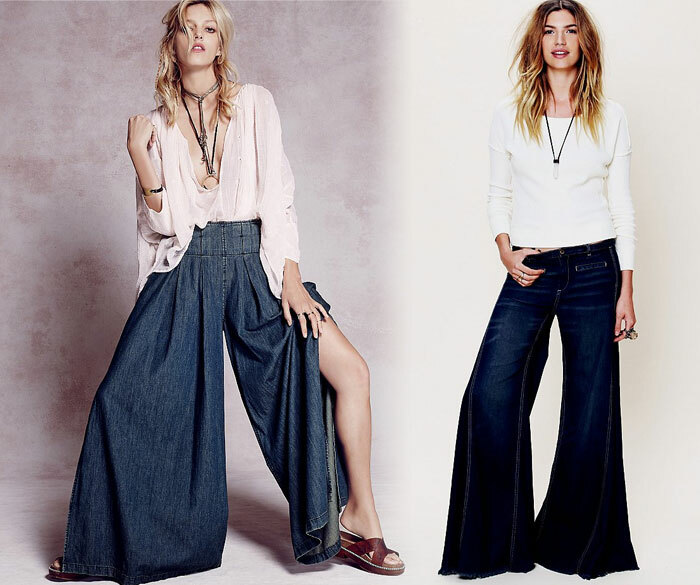 Free People is no stranger to the flare jean, but they have a brand new line that has me falling back in love with the look. 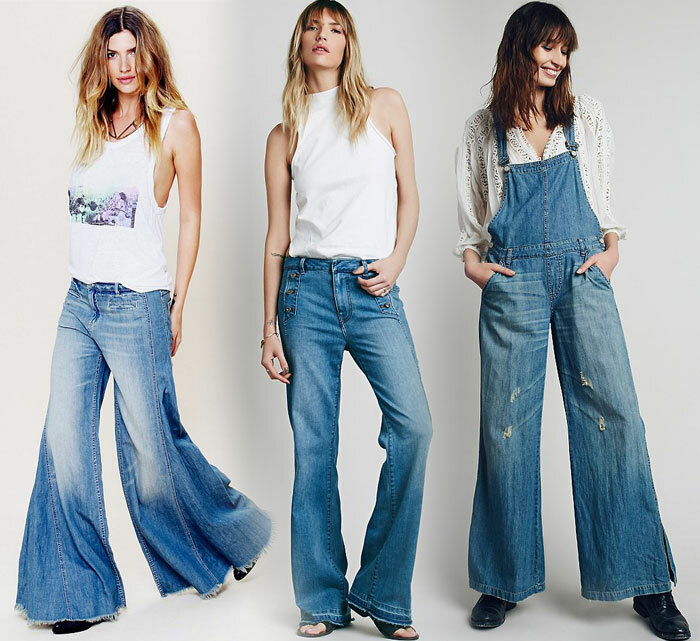 Check out these awesome printed, wide leg, corduroy, skinny flare and even overall styles below! Personally, I don’t really like super wide leg styles, but look how fab they look on the models! Body type is key…or maybe just the right sense of style to match the look…Baggier pants always work best with a tight top, in my opinion! I’m still not privy to the overalls, but I never have seen a flared overall so…here you go! 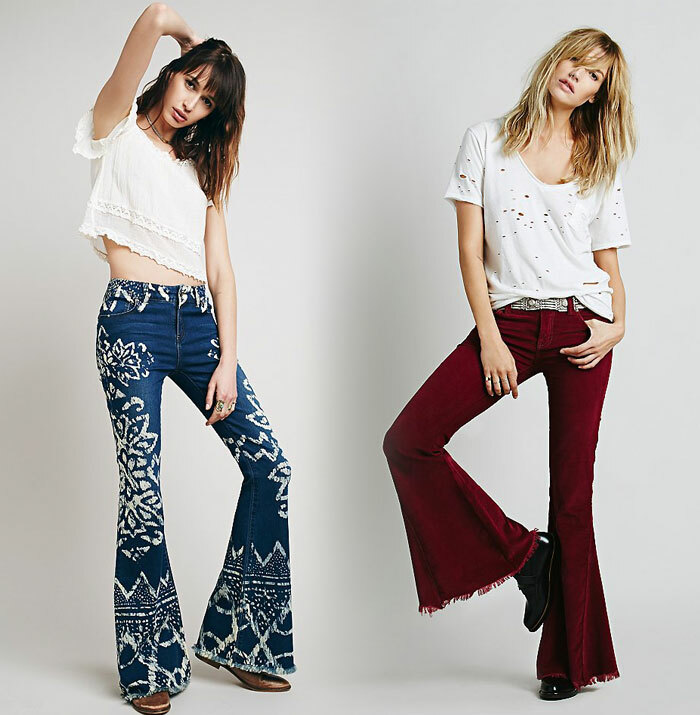 Shop the entire flare collection from Free People right here!